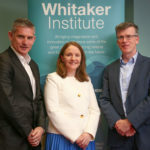 This project will map the third level education infrastructure of the island of Ireland in an effort to gauge its preparedness to exploit creative economy growth. The particular focus will rest on courses and qualifications geared toward future creative industry workers. The primary goal of this project is to map the Irish education system’s ability to match the growth of the Creative Industries, attract them to these shores, and encourage indigenous creative industries through the provision of a dynamic creative workforce with internationally recognised qualifications.